Happy Birthday! To Thomas Alva Edison that is. Who knew his middle name was Alva? 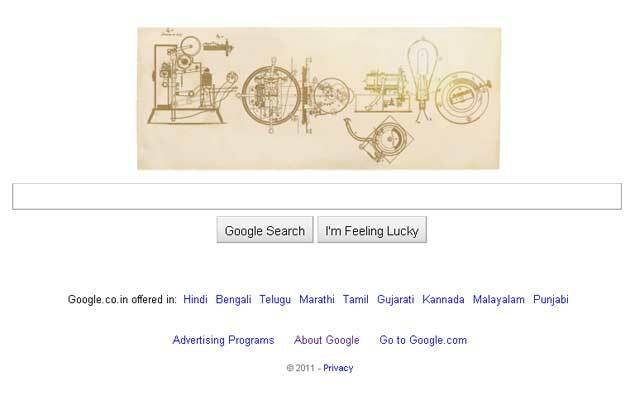 He is 164 year old this year today, so Google has celebrated his B-Day with a doodle encapsulating his best inventions. Google has been known to use some interesting logos on particular holidays or other special days. Edison's birthday is one of those days using his inventions such as the phonograph and lightbulb. Happy Birthday Mr. Edison, you are remembered as one of America's greatest inventors, scientist, and businessman that created inventions that shaped and changed the United States and the world.